Getting out of Earth's gravity well is hard. Conventional rockets are expensive, wasteful, and as we're frequently reminded, very dangerous. Thankfully, there are alternative ways of getting ourselves and all our stuff off this rock. Here's how we'll get from Earth to space in the future. Make no mistake, chemically-driven rockets are critical to human spaceflight and they'll continue to stay that way well into the future. But that doesn't mean they'll always be our only option. Without a doubt, it's critical that we develop other methods of getting into space; humanity's long term future may very well depend on it. But as it stands, rockets are prohibitively expensive, inefficient, and dangerous. NASA's new Space Launch System will cost about $500 million per launch, while SpaceX's Falcon Heavy will be considerably better at an estimated (but still very expensive) $83 million per launch. And as we know, rockets aren't the most environmentally friendly of things. Scientists and engineers have been proposing alternative launch systems for years, with some of them having the potential to become technologically feasible within a few decades. Most can be divided into the following broad categories: (1) alternative propulsion schemes, (2) fixed, tensile, and dynamic transportation structures, and (3) projectile launch systems. There are more proposals than I could possibly describe in a short article, but here's a sampling of the most promising. Conventional rockets require a hideous amount of solid or liquid fuel, and their range and power is limited by the amount of fuel they can carry. But there's an interesting idea that could help us get around this limitation — the use of ground-based lasers to propel rockets into space. Russian scientists Yuri Rezunkov and Alexander Schmidt recently described the process of "laser ablation" where a pulsed laser beam would hit a receiving surface, heat it up, and burn off material to create a plasma plume — a column of charged particles that flow off the surface. The resulting exhaust would generate considerable additional thrust capable of pushing aircraft beyond ten times the speed of sound. Indeed, air launches are not just for space tourists. By 2016, it's hoped that Virgin Galactic's proposed LauncherOne will deliver "smallsat" payloads reaching 220 pounds (100 kg) into Earth's orbit (more in the video below). The ongoing miniaturization revolution is starting to pay some serious dividends as far as satellite technologies go; they're becoming more smarter and powerful than ever before — but they're also getting easier to send into space. LauncherOne will borrow from the SpaceShipTwo concept to further drive down the costs of getting small objects into orbit. Other examples of stratolaunchers include XCOR Aerospace Lynx Mark III (above) and Orbital Sciences Pegasus II (below). One of the primary advantages of air launches is that rockets won't have to fly through the low, high-density atmosphere on their way to space. Thus, they won't be subject to extra drag and high ambient pressure. Also, carrier aircraft are easier to launch, are less subject to inclement weather, and are highly scalable. Spaceplanes are another option. These reusable launch vehicles are similar to the retired Space Shuttle, but they won't require an array of rockets to get them into orbit. One of the more developed programs in this area is the British Skylon spaceplane (pictured above), a single-stage-to-orbit launch vehicle. 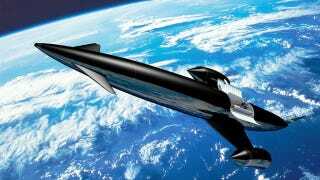 Once built, it will be powered by a two-in-one air-breathing rocket engine that will boost the plane to five times the speed of sound as it climbs to an altitude of nearly 19 miles (30 km). But that's only 20% of the speed and altitude required to get into space, so the spaceplane will then have to switch to rocket mode. Unfortunately, there are still many technological hurdles to overcome. It's expected that spaceplanes will be exposed to a depressed trajectory resulting in high dynamic pressure, excessive heat, and heat flow loads on some of the more sensitive parts of the plane. These aircraft could be quite dangerous. Other conceptual space planes include NASA's Prometheus, Sierra Nevada Corporation's Dream Chaser (see video above), and various American X-Plane concepts. There's also the compact U.S. Air Force's top secret X-37B Space Plane that recently returned to Earth after spending 674 days in orbit. Or, we could build massive structures that extend to extreme heights — or even into space itself. For example, scifi author and engineer Geoff Landis has envisioned a fixed tower with a top that reaches past the Earth's atmosphere. At a height of 60 miles (~100 km), the tip could be used as a launch site for a conventional rocket. At such a height, rockets won't have to endure any atmospheric drag. Another proposed static structure that has received a lot of attention over the years is the space elevator. Conceived as early as the late 19th century, it would involve a 22,000 mile (35,400 km) cable extending from the surface of the Earth to geosynchronous orbit (which is beyond where most communications satellites reside). After being anchored and counterbalanced at a fixed location (probably in the ocean), laser-powered climbers would ascend the cable, delivering cargo into space. To get into orbit or all the way to GEO, however, a person would have to board a rocket or other vehicle. Beyond that, an astronaut or space tourist could be flung into higher orbits, or even all the way to escape velocity at sufficient heights. Illustration of a space elevator — on Mars (Ludovic Celle). Space elevators have the potential to completely revolutionize the way we get ourselves and our material into space, but building it won't be easy. It could be quite some time, if ever, before the required material can be developed to withstand the intense tensile strain. Carbon nanotubes may be one solution, or perhaps more promisingly, microscopically small diamonds weaved into ultra-thin nanothreads. But even if we can build a space elevator there will still be problems to contend with, including dangerous vibrations, intense wobbles, collisions from satellites and space junk, among other issues. Alternately, there have been proposals for vertical skyhooks — momentum exchange tethers that do not reach the ground. Parked in orbit, some would rotate, some would not. A suborbital spaceplane would simply fly to the base and unload its cargo. Artist Steve Bowers envisions three skyhooks orbiting a gas giant. Eventually, these structures could create a continuous ring around a planet. A typical skyhook around a planet about the size of [Earth] will place its low altitude end, the docking platform, within 100 to 300 km of the planet's surface (and thus the skyhook will be several thousand kilometers long overall). This altitude is selected to minimize atmospheric drag on the skyhook while minimizing the gravity losses of skyhook shuttles. Docking occurs at very low relative velocities between the shuttle and skyhook, typically at the peak of a parabolic sub-orbital path flown by the launcher. At this point, the shuttle is nearly motionless with respect to the skyhook and may be captured by a free-flying, guided grapple; latch onto a dangling hook; or (for larger docking platforms) settle onto a landing pad atop the docking platform. Encouragingly, skyhooks won't have to endure the intense tensile pressures exerted by a space elevator, so they may be a more viable technological option. That said, they would require some kind of propulsion system for altitude control. Devices such as the Space Fountains and the Launch Loop maintain structural integrity from electrodynamic effects or the momentum of the moving parts, and payloads and passengers ride them to orbit. More interesting are Rotovators. In this concept, a large structure orbits the earth, and rotates in the direction of the orbit like a wagon wheel with no rim, and the "hub" in a circular orbit. As it rolls, each "spoke" reaches down and dips into the atmosphere, and then rises up again with the rotation. A rocket launches up to meet it, performs a rendezvous with it as it stops, and then is carried up into space and high orbital velocities. Similarly, it drops other vehicles returning to earth, and they drop safely and gently down using their propulsion. It is an admittedly delicate ballet. In the extreme case, it would reach all the way to the ground, and you could just grab on at the bottom, but don't miss it—there's no "hold door open" with this elevator. An electrodynamic compound tether with rotovator at bottom via John Hare. Another alternative to the space tether is a free standing inflatable tower extending 20 to 200 kilometers. Envisioned by Brendan Quine and his colleagues, the structure would be constructed on a suitable mountain top where it could be used for atmospheric research, telecoms, launching spacecraft, and tourism. The tower would be constructed from pneumatically inflated sections that are externally controlled and stabilized to balance disturbances and to support the structure. "Such an approach avoids problems associated with a space tether including material strength constraints, the need for in-space construction, the fabrication of a cable at least 50,000 km in length, and the ageing and meteorite-damage effects associated with a thin tether or cable in Low Earth Orbit," write the researchers in their proposal. To test their idea, they built a 7-meter scale model comprised of six modules, each of which was constructed from three small tubes mounted around circular spacers and inflated with air. Interestingly, similar technology could be used to construct the space pier proposed by J. Storrs Hall — a hybrid space-launch concept measuring 100 kilometers high and 300 kilometers long. In such a scheme, an elevator would go straight up to the starting point. Payloads would then be accelerated horizontally into orbit with an acceleration of only 10 G's (which conveniently enough is something humans should be able to withstand). "This hybrid approach overcomes the drawbacks of both the typical orbital tower schemes (it's less than 1% the height of a skyhook) and electrolaunch ones (air resistance at 100 km is a million times less than at sea level)," writes Hall. Though it might sound outlandish, it may be possible to send objects into space by propelling them with a cannon. Quite obviously, the cargo will have to be designed to withstand the extreme forces involved. Realistically, therefore, project launch systems will only be effective in sending a steady stream of cargo-laden capsules into space where they'd be picked up by a waiting craft. These launchers tend to fall into three types, electrically driven, chemically driven, and mechanically driven. Proposed devices like rail guns and mass drivers would function as electrically generated cannons. During launch, vehicles would be placed on the device and gradually accelerated, either fired away at escape velocity for interplanetary voyages, or launched at orbital velocity (along with a short rocket burn) to circularize their orbit. But because mass drivers would use coils of wire powered by electricity to make electromagnets, they'd be heavy and expensive owing to the insane cost of the electric power supply and switches. Also, Earth's strong gravity and thick atmosphere would present other challenges. Chemical guns, such as ram accelerators and space guns, work pretty much like they sound; objects are driven by propellant gasses such as hydrogen and other highly combustible compounds. But like any projectile launch system, the intense g-forces involved would require special cargo, and certainly no humans. 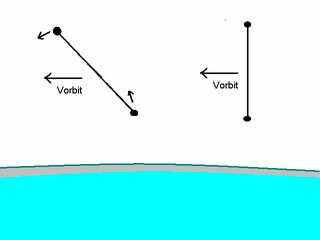 What's more, a secondary system would be required to put the projectile into a stable orbit, otherwise it'll just fall back down to Earth. Project HARP (High Altitude Research Project), a precursor to SHARP. This cannon shot a Martlet-2 projectile to an altitude of 112 miles (180 km), a record that still stands. More here. Perhaps the most advanced gun-launched test vehicle came in the form of SHARP (Super High Altitude Research Project). In the 1990s, Lawrence Livermore Lab researchers demonstrated velocities of 3 km/second with 5 kg projectiles (but never into the sky, just in horizontal testing environments). But owing to the $1 billion price tag, the project never progressed to the required 7 km/second. Alternately, a projectile could be shot into space with a slingshot. Such is the idea behind the Slingatron, a crowdfunded project by HyperV Technologies Corp. The device works by spinning an object around a fixed point as a way to build up high velocity and without having to expend much energy; the device uses a spiral-shaped steel track that accelerates a projectile with gyrating motions. Theoretically, a full-scale Slingatron could produce velocities many kilometers per second. But as noted by its developers, it would only be good for sending bulk materials like water, fuel, and building materials into orbit. A full scale version of the proposed Singatron. Of course, we don't know what we don't know. Unexpected technological advancements and their convergent effects could render all of these solutions obsolete. Take the potential for molecular assembly, for example. Once we develop this capacity, we won't need to send stuff into space. We'll just have to capture an asteroid and convert it into whatever is desired, whether it be parts for a space station or vital chemical compounds. We're already seeing the signs of this today; earlier this month, NASA emailed a wrench design to the ISS where astronaut Barry Wilmore ran it through a 3D printer. This exercise demonstrated that we'll eventually be able to produce the stuff we need directly in space. As for acquiring the necessary resources, that won't be a problem. The asteroid belt is full of material — about half the mass of the moon. Eventually, we'll deploy fleets of Philae-like robots to land and mine these (otherwise useless) objects. NASA's Asteroid Redirect Mission is the first step in this direction; by the 2020s, NASA is hoping to robotically capture a small asteroid and bring it into a stable lunar orbit. From there, astronauts will be able to visit and explore it — or even take it apart. Getting humans into space is a different issue, however, particularly if we want to do it en masse. Some of the solutions discussed, like air launches and the space elevator, could help. But it's fairly obvious that getting our meat bag asses to space is going to be a challenge for some time to come. Compounding the problem is the sad fact that our biological bodies simply don't fare well in space. An interim solution would be to send agile robots into space that can be controlled remotely from Earth. Using augmented or virtual reality, we could temporarily assume control of these surrogate robots while subsequently acquiring the feeling that we're actually working in space. More radically, we could digitize our minds and wirelessly transmit our cognitive contents to a supercomputer aboard a space station. From there, these digital brains could be uploaded to any number of robot types. They could even be transmitted at the speed of light to a receiving station on another planet, like Mars. There are many technological and philosophical issues involved with such a proposal (i.e. destructive or non-destructive copying? ), but it's clear that the future of getting into space could be quite different than we imagined.